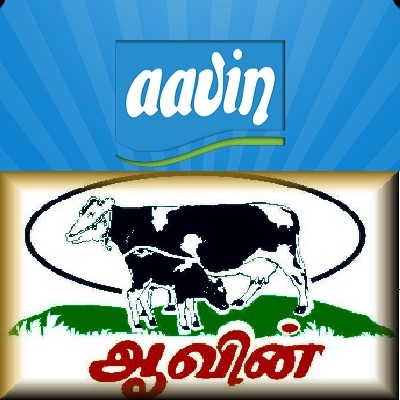 Aavin Krishnagiri Recruitment 2018-2019, 20 Executive, Manager Posts Download Application through Official website www.aavinmilk.com. Aavin Krishnagiri Executive, Manager Jobs Notification 2018 Released. The Interested and Eligible Candidates are requested to Download Application through Official website. The last date for submission of applications is 05.02.2018. Aavin Recruitment 2018 20 Executive, Manager in Krishnagiri - Apply Online. Manager ( Pur) - Must possess a Degree in Electrical & Electronics / Electronics & Instrumentation / Electrical & Instrumentation / Electronics and Communication / Automobile / Mechanical Engineering from recognized University. Manager (Mkg) - Must possess any Degree and MBA from a recognized University / Institution (or) any degree and 2 years Post Graduate Diploma from a recognized university / Institution. Dy. Manager (Dairy) - Must possess Degree with IDD / NDD or post Graduate Degree in Dairy Science / Dairying or B. Tech. in food Technology / Dairy Technology / food processing from any approved institutions. Dy. Manager (DC) - Must possess Post Graduate Degree in Dairy Science / Dairy Chemistry / Chemistry / Bio- Chemistry / Bio – Tech / Quality Control. Dy. Manager (System) - Must possess Bachelor Degree in Engineering( Information Technology) / (Computer Science ) / Master of Computer. Applications from a recognized University. Executive (Office) - Must possess Post Graduate Degree and pass in Cooperative Training as detailed in R.C. No. 51928 / 2013 / SF 2 dated 18.07.2013 of the Registrar of Cooperative societies, Chennai . Exemption for holders of degree in B.A. ( Co.op) or B. Com ( Co.op ) from passing Cooperative training. Executive (System) - Must possess Bachelor Degree in Engineering ( information Technology) / (Computer Science) / Master of Computer Applications from a recognized University. Executive (Lab) - 1.Must possess Degree in Science. 2.Must possess 2 years Diploma in Lab ( Technician) issued by the Govt./ Govt. approved institution. Extension officer Gr. II - 1.Must be a graduate in any discipline. 2.Must have passed in Cooperative Training. Exemption for holders of degree in BA. (Coop) or B.com (Coop) from passing cooperative training. Jr. Executive (Office) - 1.Must be a Graduate in any discipline. 2.Must have passed on Cooperative Training as detailed in R.C. No. 51928/2013/SF2 dated 18.07.2013 of the Registrar of Cooperative societies, Chennai. Exemption for holders of degree in BA (Co.op) or B.Com. (Co.op) from passing Coop. Training. Demand Draft for Rs. 250/- for OC / BC / MBC. and Rs.100/- for SC /ST. Payment of fee should be made by way of demand draft only, drawn in favour of General Manager, Dharmapuri Dist. Co-op. Milk Producers’ Union Ltd, Krishnagiri and payable at Krishnagiri.